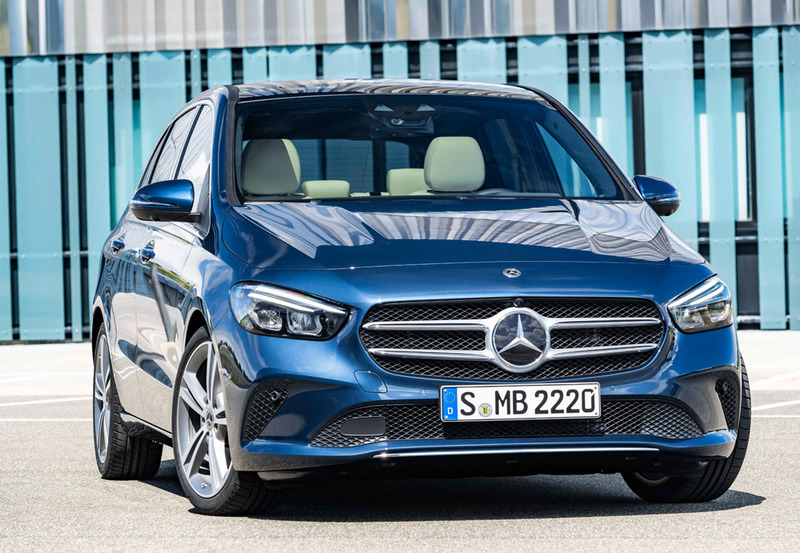 With bolder more dynamic styling, extra space for occupants and cleaner, more efficient engines, the new Mercedes B-Class went on show at this week’s Paris Motor Show. The designers’ brief was to make the new B-Class stand out visually and that brief was accepted and executed, thanks to the long wheelbase with short overhangs, slightly lowered roof line and larger 16 to 19-inch wheels making for dynamic proportions. The relatively squat, progressive front end with flowing lines from bonnet to A-pillar and on to the windscreen, along with the muscular shoulder of the body, underlines the sporty overall look. The improved seat geometry and lower belt line result in a more generous feeling of space than in the previous model. The driver sits 90mm higher than in an A-Class, thus enjoying an especially good all-round view. And the interior of the B-Class is as avant-garde as the much-praised new A-Class with distinctive on-board infotainment technology which is available in three different versions: with two seven-inch display screens, with one seven-inch and one 10.25-inch display or in the Widescreen version with two 10.25-inch displays. The five round air vents feature a high-grade turbine look with finely styled air ducts, inspired by the world of aviation. In the Style equipment line, the vent surround is colour-accentuated in the depth of the vent geometry to give the impression of an afterburner. The centre console with touch-based control and input system comes with a black panel look similar to the E-Class. The ambience lighting with 64 colours and 10 colour worlds, a unique selling point in this segment, allows individual adjustments to suit the mood. The seats offer a flatter and therefore more comfortable seating position as well as a larger adjustment range, which also increases the maximum headroom. With seat climate control and multi-contour seats with massage function, the new B-Class is available with optional extras that were previously reserved for vehicles from much higher segments. The rear seats come as standard with a 40:20:40 split and depending on the version, from mid-2019 it will be possible for the rear seats to be moved by 14 centimetres and for the backrest to be folded into a steeper position to vary the capacity of the luggage compartment behind the rear seats between 455 and 705 litres. Although the capacity is roughly the same as in the previous model, the luggage compartment can be more efficiently used thanks to the improvements. With the rear seat folded down and luggage loaded to the roof, the luggage compartment, which is flat thanks to the adjustable load compartment floor, can accommodate up to 1,540 litres behind the front seats. 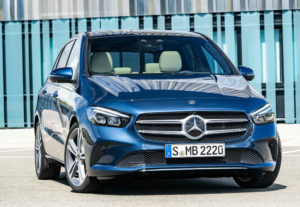 The new B-Class is the second model after the A-Class to feature the MBUX (Mercedes-Benz User Experience) multimedia system, which ushered in a new era with Mercedes me Connectivity. Its ability to learn thanks to Artificial Intelligence makes the system unique. MBUX is customisable and adapts to the user. For the first time, the B-Class is able to drive semi-autonomously in certain situations. To do so, it employs improved camera and radar systems to anticipate the traffic up to 500 metres ahead while using map and navigation data for assistance functions. For example, Active Distance Assist DISTRONIC as part of the Driving Assistance package is able to support the driver in many route-specific situations, predictively and conveniently adjusting the speed, e.g. when approaching bends, junctions or roundabouts. The new B-Class is powered by new, more efficient engines, all of which comply with the Euro 6d-TEMP limits. Making its debut is a transverse-mounted version of the 2.0-litre diesel with 148bhp and 187bhp – the first compact model from Mercedes-Benz to be certified in accordance with the Euro 6d standard. The large diesel represents an addition to the four-cylinder 1.5-litre diesel unit. 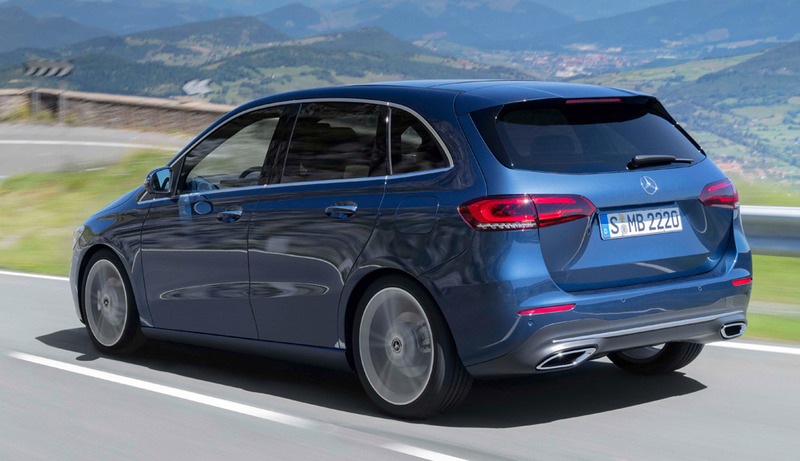 The new B-Class is initially available exclusively with dual-clutch transmissions. New here is the eight-speed 8G-DCT, which is used in combination with the larger diesel engine. Other new engines will follow, as will models with 4MATIC all-wheel drive.